Pat Foxy all over the lid. Sweep Tease onto the crease. Summer isn't over yet! Sweep bronzer on your skin, but with a lighter hand than usual. Finish with a pretty pink blush and lip. I'm obsessed with that gloss, by the way. PS: Did you know I take requests? I do! or something you'd like to see, please let me know. Your eyes are so beautiful! Wow :O This is such a great look! how awesome it is! very pretty result! Lovely! You have really pretty eyes! Gorgeous, Elle. Love the fresh look. OMG! You have such beautiful eyes, Elle! And my have eye palette this one from Stila. It was a special edition one from a long time ago called Oh Canada (I think). You have such gorgeous eyes Elle! I like the lightness of this look - it's bright, but not dewy, just like the transitional period now! Love this look! I use a lot of neutral shades and love adding pops of color, too. Such a pretty, feminine look. Love it! New camera? These pictures are amazing!!! I'd love to see more looks using naked 1! Such a beautiful face! What gloss is that? it's just the perfect shade! This is so pretty! I am horrible at doing my own makeup, sadly. You are so lovely and truly have beautiful eyes. So pretty, I like that color palette! this is a great palette! Ohhh lovely! I must get this palette! Its so versatile and perfect for everyday use. Love the effect on your lids! very pretty! 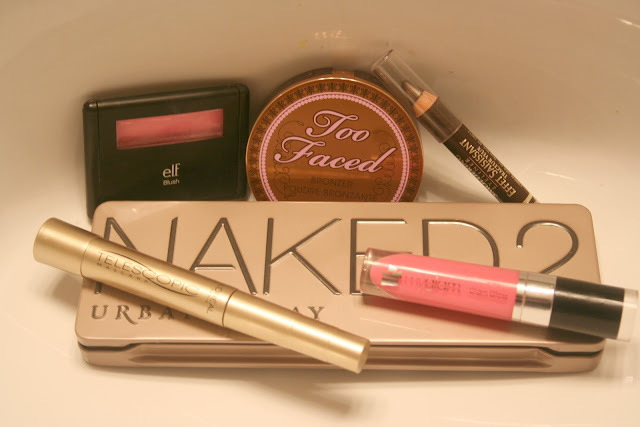 love the naked palettes! 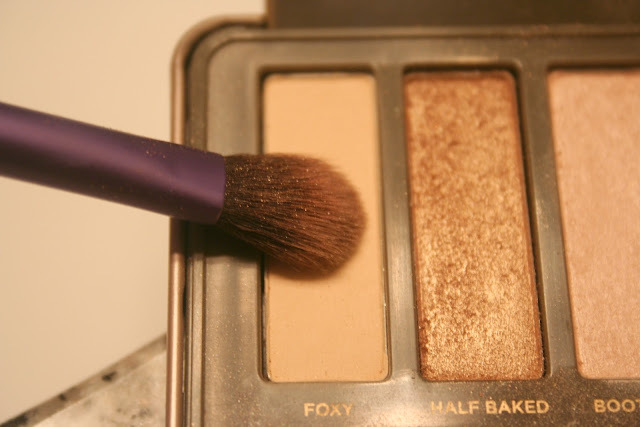 The colors that you used are pretty much an EXACT shade of the colors I have in a Clinque duo. So I know how well they work together! really really pretty! i love using neutrals on my eyes. Love this look. I only ever wear neutral palettes. You look GORGEOUS! 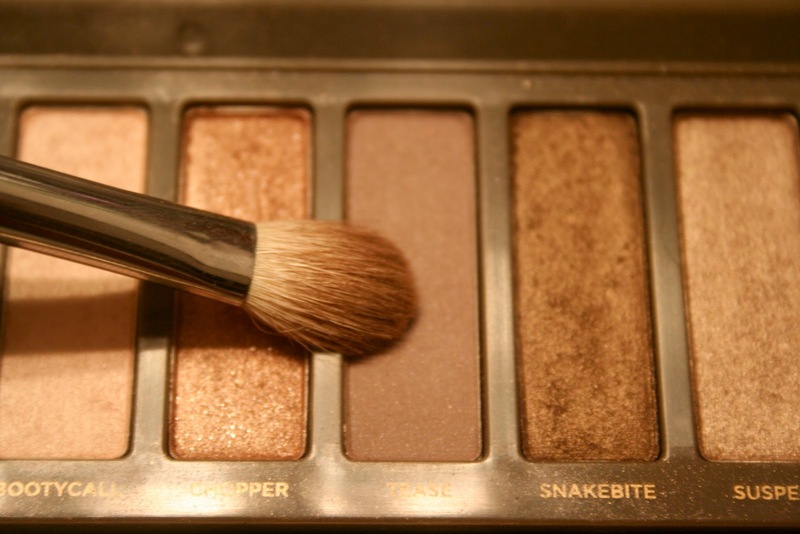 I love the shadow and I'm almost out of Naked... so I'm definitely getting Naked 2 for my next eye shadow palette! Your eyes are gorgeous! I have the original Naked , now I want Naked 2! You look gorgeous Elle! Long time no see and you look just as fab! I can't wait for this palette to go on sale. I love the Naked 2 palette, so many options will see how this goes. 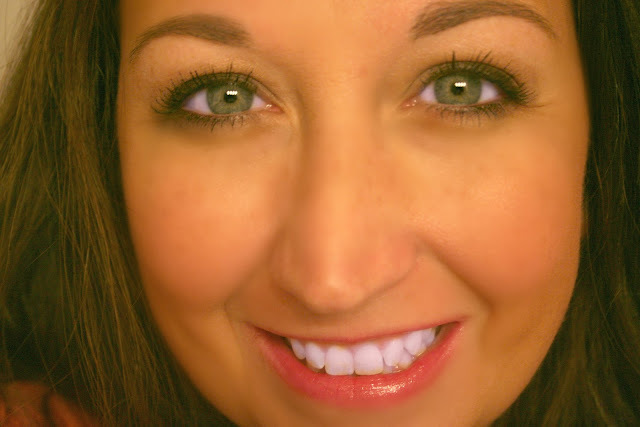 Love adding pink to my eyes too, such a natural combo!